For some DJs, music is more than just their passion or occupation – it’s the reason for their existence, the thing that keeps their world turning. DJ Winn is that special breed. Winn is an iconic deejay in music, music business, nightlife, and is one of the most sought-after deejays in Florida. Winn's notoriety, respect, demand, and grind are unparalleled. More than 20 years ago DJ Winn turned his childhood passion into a job and in the process helped launch himself into worldwide consciousness as one of the best mixtape, party starting dj’s around. Music became a way of life and became his spirit and soul. Music taught him how to love long before Lil Wayne was ever on the scene. Music taught him how to deal with adversity in life. Music back then had meaning and there was a purpose behind what the artist was saying to the world. Music was put out to bring positivity into a world that had so much negativity. In the early years, Winn paid his dues djing in the local club scene for more than 12 years. Perfecting his craft came pretty easy to talented ear for music. Seizing the opportunity, after fulfilling his insatiable appetite for the "local market". 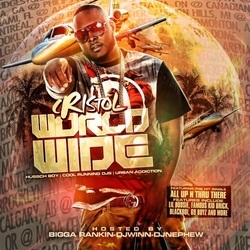 Winn went on to dj in over 45 cities across the southern region including thousands of appearances. His determination to "Win" has lead his career to becoming the go to dj in Florida. Both a true DJs DJ and a people’s favorite, Winn’s popularity has grown and his brand has been established and honored. Winn's busy schedule has him rocking clubs for superstar artist like Plies, Gucci Mane, Waka Flocka, Webbie, Rick Ross, Snoop Dogg, 2 Chainz, Future, Cashout, Machine Gun Kelly and countless more. Further cementing his status as a key player in music industry culture. Winn has produced and released more than 250 mix CDs in the last six years, prompting The industry to hail him as "one of Florida's best mixtape DJs." 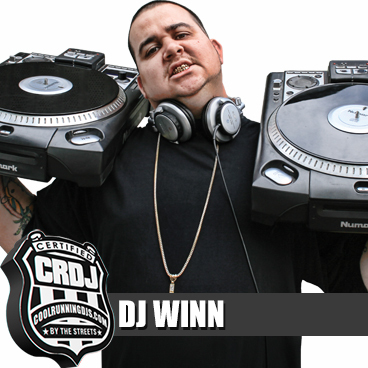 DJ Winn will stop at nothing to make sure every event he works is more than a great experience for all involved.